Today was Day #1 of Chocolate and Gluten-Free Cookie Theme Week. The first gluten-free cookies I remember eating were coconut and almond flour macaroons. It was just a matter of time before I found ones dipped in, or coated with, chocolate. I remember macaroons being sugary sweet, rich and chewy, so much so that one was quite satisfactory. Today's macaroons were much like the ones I remember from childhood. 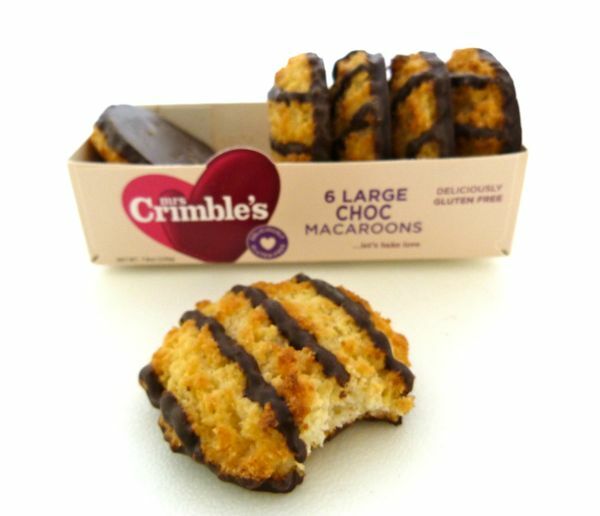 Chocolate covered the backs and a few thin chocolate stripes ran across the tops of these Mrs. Crimble's Chocolate Macaroons (affiliated with Stiletto Foods, in Odiham, England). They were fresh, stuffed with sweetened coconut; the darker chocolate helped balance out the sweetness. In short, everything you'd want in a macaroon. 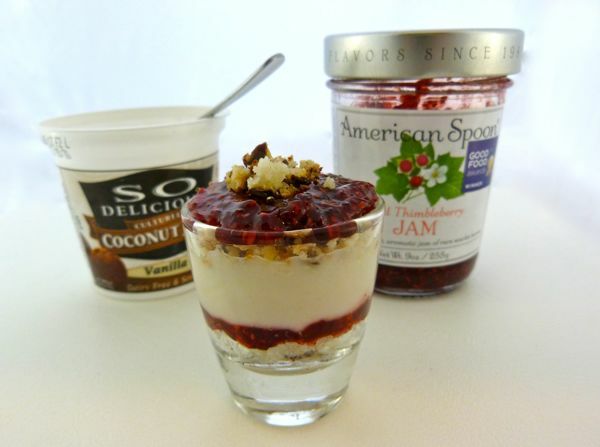 My own recipe consisted of layering chocolate macaroon crumbs with cultured coconut yogurt and some award-winning Wild Thimbleberry Jam from American Spoon (Petoskey, MI). 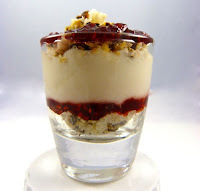 *My new rule for eating dessert in 2013 is -- one serving of dessert should contain at least one interesting, tasty ingredient, and should fit in a shot glass. 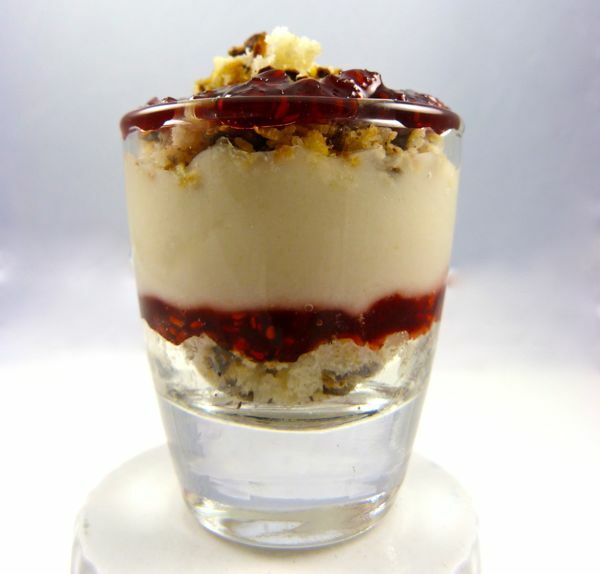 You'll probably be seeing more shot glass desserts soon.